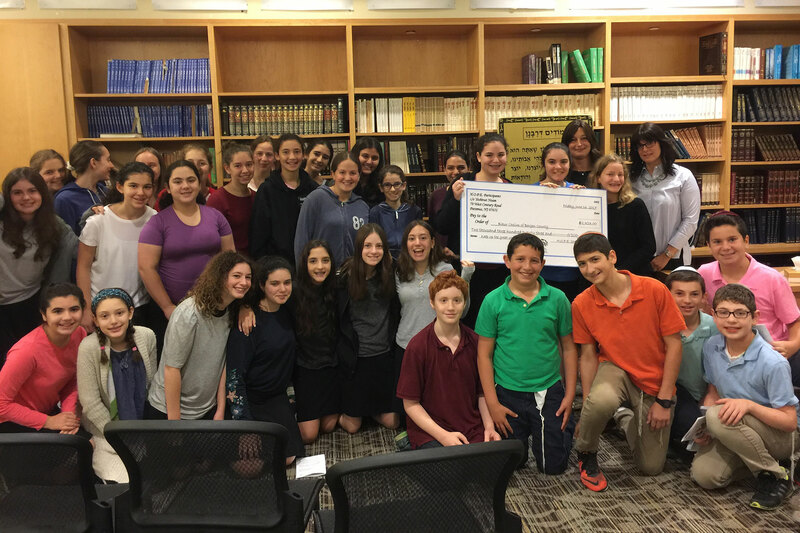 This unique program brings Jewish teens together for the purpose of learning about charitable giving and philanthropy, resulting in the group’s allocation of funds to organizations in need. To date, more than 230 participants have allocated $46,000 to local and Israel-based agencies as a result of this program. Jewish Teen Philanthropy programs, such as H.O.P.E. (Helping Organizations Provide Essentials) are so much more than teaching youth about giving. It’s a wonderful way for students to gain leadership skills, work on their teambuilding and come together as one cohesive unit. Additionally, the organizations that have benefited from these programs are not only appreciative, but also continually update the group on how the money they donated has impacted those they serve. Programs consist of a cohort who function as a board to allocate money to support local agencies. The group meets for 10 sessions over the course of several months, depending on the nature of the program. During the sessions, participants learn about philanthropy and local communal needs, participate in values clarification exercises, host site visits, select causes to fund, volunteer for an agency they have chosen to support, and conclude the program by celebrating their achievements. Areyvut can develop and implement curriculum, as well as create and facilitate all aspects of the program, and will tailor the program to your particular needs. Please contact Daniel Rothner at (201) 244-6702 or daniel@areyvut.org to discuss starting a program in your community.